ooohhh!!! yuk. is that the alive or dead version of the rogue spider? Thankfully it was the dead version of the Spider. 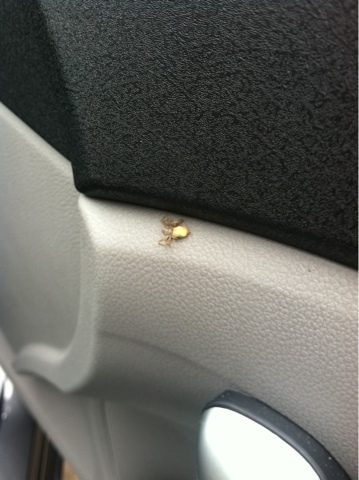 Later in the day, I had another Bug in my car, that one though did not scare me, so I let it out the window.